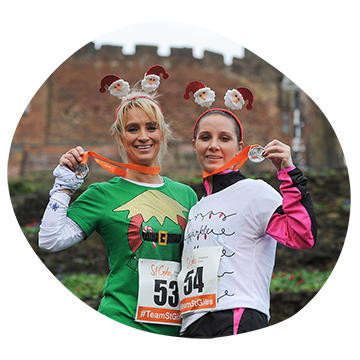 Thank you to all our Rudolph Runners who took to the grounds of Tamworth Castle to show that #TeamStGiles can kick off the festive season in style. It was an incredible day for all that took part. If you missed this year’s run or want to take part again next year, get the date in your diary! 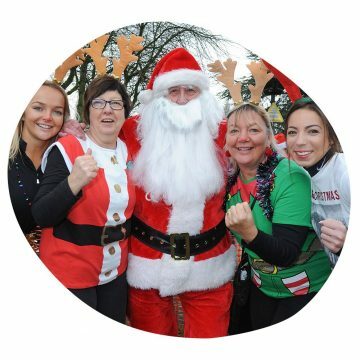 Our festive fundraiser with be returning to Tamworth Castle grounds on Sunday 8th December 2019. Head over to our Facebook page to see a selection of photos from the day. Remember to like our page if you don’t already, tag yourself and share with your friends while you’re there! For Tez Hynes, who has Multiple Sclerosis (MS), the support offered by St Giles has been essential to her wellbeing over the last seven years. Tez attends an exercise group for people with MS at the St Giles Supportive Care Centre in Sutton Coldfield on a weekly basis. “Attending the group at St Giles has been a real help in living with my illness, thanks to the support from staff, volunteers and members of the group,” she said. 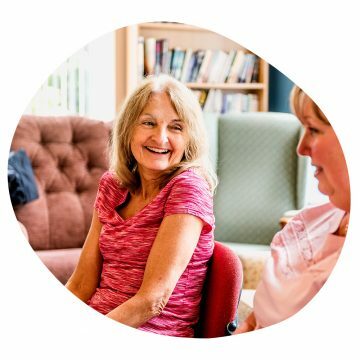 “The centre is so bright and welcoming and the staff and the volunteers are always really cheerful and supportive, however the most important element of the group is the patients themselves. It’s wonderful to be in an environment where you can talk freely about anything and know your listeners understand exactly what you mean. Tez was diagnosed with MS when she was 25 and continued to work full time for 27 years as a primary teacher after her diagnosis, before taking early retirement and just afterwards started to attend the group. The care and support Tez receives is funded in part through the fundraising events such as the Rudolph Run. By participating in these events you are contributing to the care of local people and their families, living with potentially terminal illnesses. Your entry fee only covers the administration cost of the Rudolph Run. By asking friends and family to sponsor you, you could raise valuable funds that will help St Giles to continue to provide care and support free of charge to patients and their families. In 2017, super Rudolph Runners raised over £13,000 through their sponsorship. We couldn’t provide our services to people in your local community without the support of people like you. Thank you so much.